The leadership of Reliance is an integrated, collaborative, team of financial services professionals, each deeply specialized, driven and entrepreneurial. Deeply grounded in Indonesia, our people are united in their desire to build a world-class financial services group for Indonesians. Indonesian Citizen. Born in Jakarta, November 27, 1967. He has served as President Commissioner since 2003. 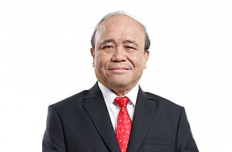 Previously, He served as Commissioner of PT Jababeka Tbk (2000-2013), Managing Partner in Victoria Investindo Advisory (2000-2002), and Panin Group as Vice President (1993-2000). He started his career in some local bank since 1992. He earned his Bachelor Degree of Science in Business Administration from California State University, USA. British citizen. Born in Rochdale in November 13, 1976. He has served as Group CEO since 2018. Joel has held senior positions at Borrelli Walsh, a leading corporate finance advisory boutique and international law firms White & Case, O’Melveny & Myers, and Ashurst where he represented corporate groups, investment funds and financial institutions on high-profile private equity, M&A, and financing transactions. Joel Hogarth received his BA (Law) with double first class honours from Cambridge University’s Clare College in 1999, an LPC from University of Central England in 2000 and an MA from Clare College in 2002. 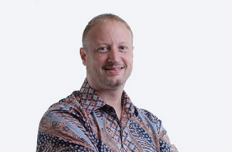 He is qualified as a lawyer in England and New York and is a licensed Securities Broker/Dealer in Indonesia. Indonesia Citizen. Rebecca has been a President Director since 2009. After completing her education at the Institute Fresno-California USA, Rebecca began her career as a Telemarketing Manager Wordpass in 1991-1992. Her career continues to grow and continues at several companies, including as Senior Marketing Manager at Skytel (1992- 1997), as a Senior Merchandising Manager at PT. Mitra Adi Perkasa (1999- 2001), until then joined PT. Reliance Insurance Indonesia in 2006 as Marketing Director. Indonesian Citizens. Born in Sibolga, July 7, 1952. He served as President Commissioner since December 2013. In addition to serving as Commissioner of the Company, he has tens of years of career experience in government institutions and has also been a commissioner in several state-owned companies since the early 2000s. He also has experience as a director in foreign companies abroad and international organizations. 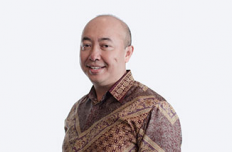 He graduated with a Bachelor’s degree in Agricultural Economics of Institut Pertanian Bogor Faculty of Animal Husbandry, continued his education at the University of Illinos, USA with a Master of Economics (1988), and a PhD in Economics at Iowa State University (1994). India citizen. Born in Kolkata, India, 24 October 1969 He served as Commissioner since October 2014. Michael is also a Partner at LeapFrog Investment bringing nearly 20 years of experience in operations, consulting and investing. He had previously served as an Executive Director of Investments at Khazanah Nasional Berhad since 2008. He also had a career in Piramal Healthcare Group and 12 years at McKinsey & Co. He was born in Jakarta on November 02, 1969. 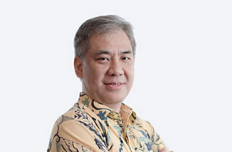 He managed to reachits Bachelor of Finance Management Degree from the Gunadarma University, Jakarta in 1994, And studied the insurance in the Master Program of Finance Management at Gunadarma University, Jakarta and has also completed the Doctoral program of Financial Information Systems at the University of Gadjah Mada, Yogyakarta. Prihantoro joined the Reliance as the Director of PT Asuransi Jiwa Reliance Indonesia since 2012. 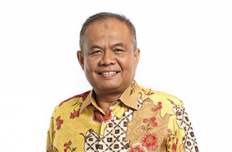 He started his career as a lecturer at the Faculty of Economics, Gunadarma University. 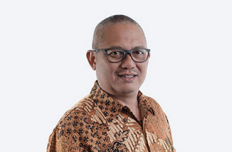 He was born in Ambon on May 14,1970 and holds his Bachelor of Civil Law from the University of Brawijaya, Malang.He Joined the Reliance for the first time in 2010 as the General Manager of Marketing in the business unit of PT Asuransi Reliance Indonesia and moved to the business unit of PT Asuransi Jiwa Reliance Indonesia as a Director in 2012. Jimmy started his career at PT Asuransi Sinarmas (1995). He was born in Bali on July,1947. At the First time joining the Reliance in 2006, he served as an Independent Commissioner of the business unit of PT Asuransi Reliance Indonesia and Served as an Independent Commissioner of PT Asuransi Jiwa Reliance Indonesia in 2012. 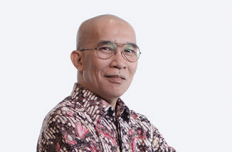 Previously, he has worked at PT Pusri (1997-1988), PT Sucofindo Kepala Cabang (1993-2002), PT Sucofindo V. P. Engineering Services Indonesia (2002- 2005). He was born in Ciamis on March 17, 1972 served as a Director since 2016. Starting his career at Asuransi Allianz Utama Indonesia (1994), He previously served as a Head of Invesment & Collection. 1993 as an estimator and Assistant Manager at Workshop in Medan. Women born in Riau have earned a degree in economics at the Catholic University of Santo Thomas Medan in 1997. After completing her education, she continues her career as Chief Representative in Pekanbaru Danamon Insurance for 2 years. 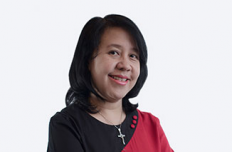 In 1999, Mardiana served as Assistant Branch Manager at PT. China Insurance, Medan. 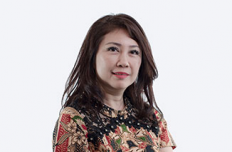 Her career continued to raise, until in 2004 she held the position of Branch Manager in Asuransi Buana Independent, Medan. In 2009, Mardiana joined PT. Reliance Insurance Indonesia as a Branch Manager at the Branch Medan. Indonesia citizen. Alamsyah has been as Director. 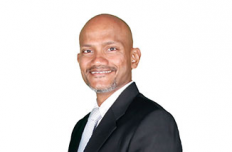 Alamsyah started his career inthe insurance world in 2001. This Jakarta-born man successfully earned a Bachelor of Economics University of Indonesia. Manager Customer Relations at PT. Allianz Life Life Insurance. In 2008, he joined PT. Reliance Insurance Indonesia as Senior Manager of Clients Service & Alternate Distribution. Thanks to his knowledge and experience Alamsyah was promoted as Director at PT. Reliance Insurance Indonesia to date, many contributions that he has given. Indonesia citizen. 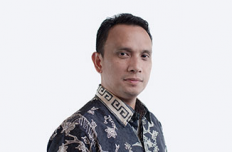 Wibisono Julianto Somad has been as Director since 2013. Wibisono Julianto Somad more familiar with the call name 'Yanto' was born in Jambi. He completed his undergraduate education in informatics at Bina Nusantara STMIK and began his career in 1993 as a Risk Surveyor at PT. Asuransi Buana Independent. as a Branch Manager at PT. Asuransi Buana Independent (1996 - 2008) and PT. Insurance Sarijaya (2008 - 2009). In 2009 he started working at PT Reliance Insurance Indonesia as Branch Manager. Thanks to his experience over the years in the insurance industry as well as his success as a leader, he was promoted as Marketing Director at PT. Reliance Insurance Indonesia since late 2013 to the present. 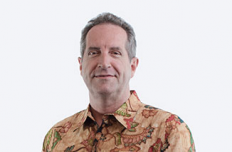 Born in Bali on May 15, 1950, he first joined the Reliance Group on October 6, 2016. Previously he served as Independent Commissioner at PT CIMB Niaga Sun Life after completing his tenure as President Director and Director of several leading life insurance companies. 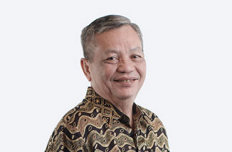 He began his career at PT Unilever Indonesia in 1976 as Assistant Manager of advertising communications. Graduate of Commerce administration at Krisnadwipayana University-Jakarta and continue at Asian Institute of Management Manila-Philippines. Started his career as a Treasury Dealer at PT Bank Central Asia with the latest position as Treasury Marketing Manager at Rabobank International. 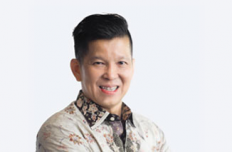 Edwin had worked for Bank Danamon Indonesia Tbk and Bank QNB Indonesia Tbk as Head of Retail Product Development for 12 years and worked in Mandiri Manajemen Investasi as Head of Business & Product Development and at Syailendra Capital as Director. 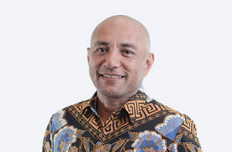 Edwin joined Reliance Group with a position of Head of Group Marketing before appointed as President Director of PT Reliance Manajer Investasi since 2017. 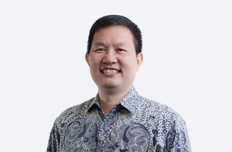 Edwin holds a Bachelor of Economics degree from Tarumanagara University, Jakarta and an MBA from National University - California USA. Indonesian Citizen. Born in Tanjung Pandan, on January 5, 1963. 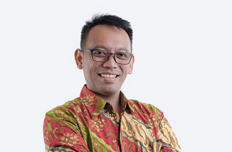 Prior to his position as the Company’s Director, he started his career as Programmer and Trainer Officer in PT Sarana Sukses Pratama, Credit Control Officer in Bank Duta, Senior Auditor in PT Bursa Efek Jakarta/PT Bursa Efek Indonesia, Head Internal Audit & Compliance in PT Trimegah Sekuritas Indonesia Tbk and became a Marketing Director in PT Micro Piranti Computer (S21). Earned his degree in Bachelor of Economy and Master of Management from University of Mercubuana and Master of Business Law from University of Trisakti. Born in Bandung, 16 May 1959. 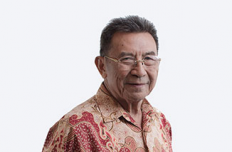 Starting his career as Assistant of Lawyer in Law Firm of R. Gunawan Suyono SH & Rekan, in Bandung (1982-1984), as Branch Manager in PT SAC Nusantara (1984-1991), as senior researcher in PT Bursa Efek Jakarta/Bursa Efek Indonesia (1991-2012) and Vice Secretary General in the Arbitration Board of Indonesian Capital Market (2002-2004), and the last is as head of compliance in PT MNC Securities (2012-2017). Obtaining Master of Management from PPM School of Management Jakarta in 1997. Indonesian Citizen. Born in Malang, on May 4, 1972. Appointed as Director to replace Anak Agung Gede Arinta Kameswara on November 2, 2017. 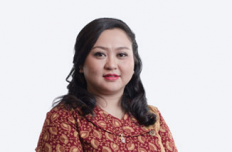 Starting her career as Senior Staff at Public Accounting Firm, Prasetio Utomo & Co. (1995-1997) and VP Finance & Accounting in PT Paramitra Alfa Sekuritas (1999- 2004), she then served as Accounting Manager in PT Sigma Cipta Caraka (2005), as Finance & Accounting Manager in PT Daya Muda Agung (2005-2006), VP Finance & Accounting in PT Dhanawibawa Sekuritas Indonesia (2006-2009), and then as Director in PT Dhanawibawa Sekuritas Indonesia (2009-2017). 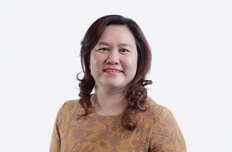 Earned her degree in Bachelor of Economy from University of Tarumanagara in 1995 and Master of Management in financial subject from University of Prasetiya Mulya in 1999. Dutch citizen. Born in South Africa, December 12, 1956. Stephen Bowey has 30 years’ experience in life insurance, asset management, wealth management and private equity, across Africa, the Middle East, SE Asia and Australia. His particular areas of expertise are strategy, marketing, investment and governance.He is currently an operating partner with LeapFrog Investments, which invested in Reliance Capital Management in 2014. Indonesian citizen. Born in Rengat, on January 20,1964. Appointed to be Independent Commissioner on November 2, 2017, replacing Albert Chan Chee Ling. Starting career as Floor Trader & Equity Trading in PT Nikko Securities Indonesia (1990-1993) and then Chief Dealer for Equity in PT Sigma Batara Indonesia (1994-1997). Also ever appointed as Member of the Committee in PT INCO Tbk & PT Bumi Resources Tbk in 2005-2013 and Member of Issuer’s Evaluation Committee in PT Bursa Efek Indonesia in 2016-2018. Until now, serving as Arbitrator of BAPMI and PAMI, Member of the Audit Committee in PT Bumi Resources Tbk, Member of the Audit Committee in PT Bakrie Land Tbk and Member of the Audit Committee in PT Benakat Integra Tbk. Earned bachelor’s degree in Law from University of Indonesia in 1989 and Master of Management from PPM School of Management in 1999.